There is a convincing case to be made for videotaping defended local court hearings. 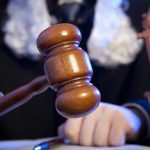 If someone has been tried and convicted in the Local Court, and wants to argue against their conviction, they can lodge an appeal within 28 days of the judgment being finalised. To find out how to do this, click here and scroll down to find appeals. A conviction appeal is one where the person who was found guilty wants to argue against their conviction. 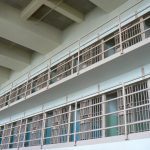 If the original case was held in the Local Court, a person will have the right to appeal against their conviction and the appeal will be heard in the District Court. 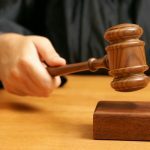 In the District Court, the judge must go through all of the evidence given in the Local Court and the findings of the original Magistrate who heard the case – all of which are contained in a written ‘transcript’ of the Local Court proceedings. The Judge will not normally hear new evidence, although fresh evidence may be allowed in certain limited circumstances. Instead, the Judge will look at the transcripts and also take the findings of the Local Court Magistrate into account. The transcript of the proceedings includes the oral evidence given by witnesses in the original hearing as well as the Magistrate’s judgment. Currently, there is no requirement for Local Court Hearings to be videotaped. This makes the Appeal Judge reliant on the judgment of the Local Court Magistrate for things that they cannot determine themselves, such as the ‘demeanour’ of the witnesses involved, which includes the complainant and the defendant. Witness evidence is tested in two ways – what they say and how they appear, in other words, their demeanour (how honest and reliable the witness appearsto be). Demeanour is incredibly important to how we all make decisions and judgments about others. This is of course true in the courtrooms. Often, Magistrates will consider demeanour, and for centuries, the demeanour of witnesses (including the parties) has been relied on in order to tell if they are truthful. There is danger in accepting a witness’s testimony based on demeanour alone, and there have been many instances where a witness does not appear reliable but their story matches up with other evidence, whereas the evidence of other witnesses who appeared much more truthful and confident may conflict. In addition, stress in the witness box or even the fear of being disbelieved can look the same as the fear of being caught. Considerable case law confirms that it remains a way to assess credibility but it should not be taken as the sole indicator of truthfulness. But while it is better not to put too much emphasis on demeanour, it is often a factor considered by in the original hearing. 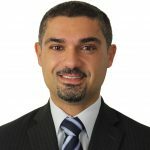 Of course, a Judge hearing the case on appeal does not have the same information available to them as the Magistrate who heard the case and evaluated witness demeanour – specifically, the District Court Judge does not have the advantage of being able to evaluate any demeanour that the Magistrate took into account. If Local Court Hearings were video-taped, Appeal Judges would be able to make up their own minds regarding demeanour instead of having to take the Magistrate’s word for it. If they chose to, Appeal Judges would be able to view direct visual evidence of the witnesses. This is very significant if demeanour was something that prosecutors are relying on heavily in the appeal, as they often do. The prosecution must prove beyond reasonable doubt that the accused person committed the crime. 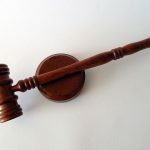 If, for example, the evidence used to convict the accused person is shaky, but the Local Court Magistrate relied a lot on demeanour in arriving in their conclusion of guilty, DPP prosecutors will usually seek to rely on this when the case goes on appeal. And the Supreme Court has said that Judges should take into account a Magistrate’s views about demeanour! With the use of a video recording, the District Court Judge would have the opportunity to evaluate witness demeanour themselves, instead of just going off the transcript. This would eliminate the difficulties faced when prosecution places great weight on a Magistrate’s evaluation of demeanour. And just how good are Magistrates and Judges at picking up lies, anyway? Research has shown that judges and even federal polygraphers were no better than chance at detecting deception. Visit our section on appeals for more information on appeals in general and what they involve. 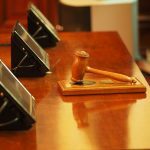 How Can I Appeal my Court Case? 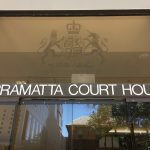 What Types of Cases Appear at Parramatta District Court? When can police arrest without a warrant? What Are the Laws Governing Prostitution in Sydney?